Review: Watsons Collagen facial & cream mask | Memorable Days : Beauty Blog - Korean Beauty, European, American Product Reviews. 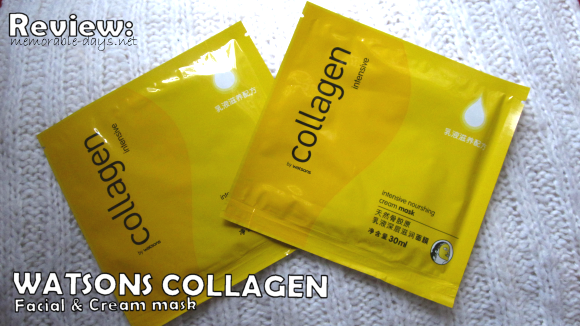 This mask is called the Collagen intensive nourishing cream mask which is from the private label: Watsons. It comes with a yellow/orange packaging. 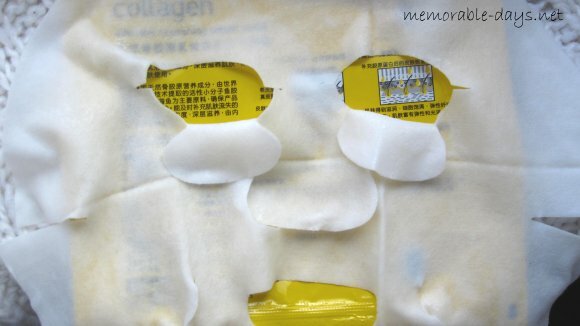 You have to tear it open to get the mask out, it looks like this (see right picture) when you get it out. 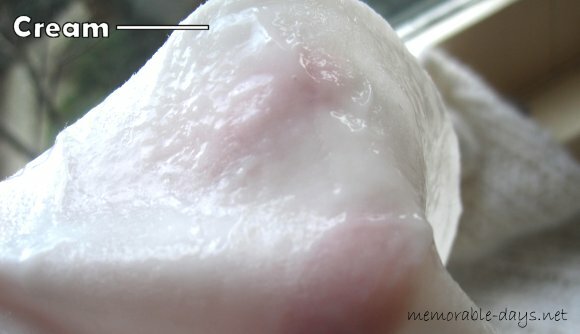 As you can see there is plenty of cream inside! However, watch out for spilling out the product ;). The scent is like a cream as well. The fitting of the mask is just great for my face, but this mask is quite thick compared to the MBD masks. A big pro is that it also covers the eyes! 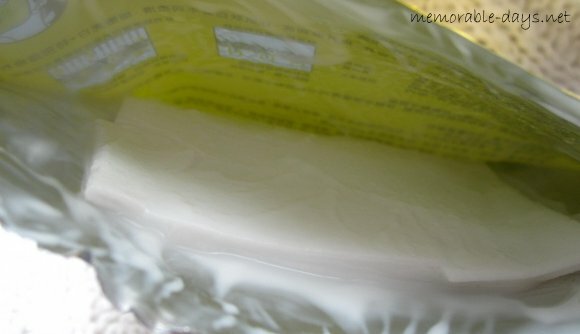 You can see the cream very good on the mask as well :). I bought these masks at a Watsons store in China. The mask pack costs 29.95RMB (€2,99) and it contains 6 sheet masks, thus €0,49 per sheet mask. Place the mask on your rinsed face. After that, you need to press the air out and relax for 20 minutes. When it's time you need to massage the excess onto the face and you don’t need to rinse face afterwards.